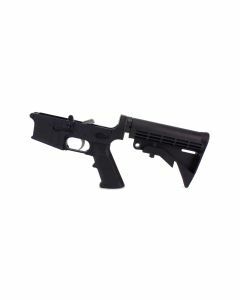 The Lower receiver is the serialized part of the firearm and ultimately has the responsibility/function of determining how the rifle/pistol based on the AR-15 platform is configured. It houses the crucial component parts of the trigger group and the safety switch. It also has the important task of integrating the magazine into the entire platform for loading and reloading of your bulk ammunition. 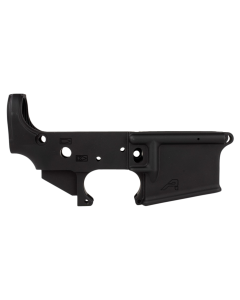 As a result, the Lower receiver tends to be one of the more popular AR-15 parts on the market. It can be purchased at a very low price point as a bare receiver, to help shooters built a piece at a time, and since it is the only serialized, legally pertinent part to gun “registration” in any state, it is the only part that a shooter needs to have “on paper” in order to fully assemble a rifle/carbine/pistol on the AR-15 platform. 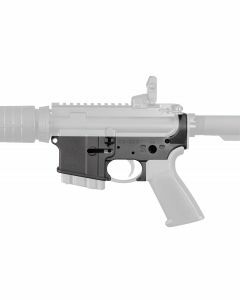 The ability to build an 80% custom lower receiver gives even more versatility to users and the regulatory hurdles are even lessened for those who want to go that more tedious, but very rewarding route to building an AR-15. Ammunition depot offers everything you would need to build the lower receiver or lower assembly, from fully assembled, serialized lower component packages, to bare metal, do-it-yourself type 80% receivers. 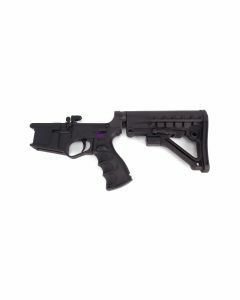 We also offer premium versions that give top tier accuracy and feature super high tolerance dimensions for the best performance regardless of the style of shooting you are trying to accomplish with your AR-15.